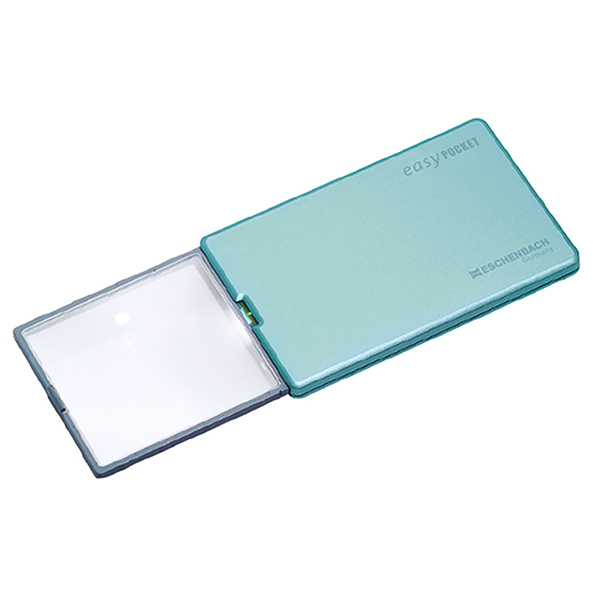 This 4X magnification easyPOCKET features a unique 50x46mm aspheric / diffraction hybrid lens that is distortion-free and only 3 mm thick. Bright illumination is provided by new SMD LED lighting that never needs to be changed. Plus, with a built-in automatic contact mechanism, the light conveniently goes on and off without a switch. The easyPOCKET is protected by a strong glass-fiber reinforced plastic case that minimizes lens scratching.